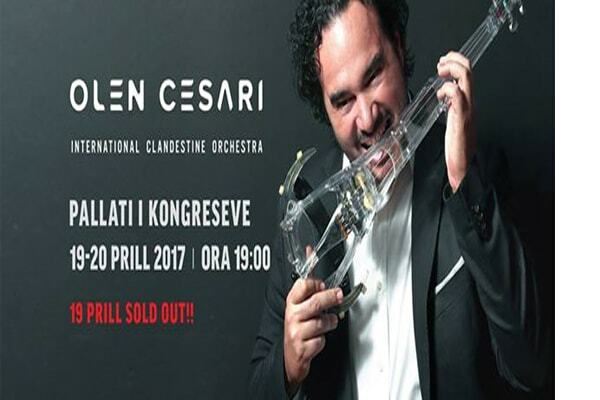 Albanian renowned violinist Olen Çesari and the world famous soprano Inva Mula will impress the Albanian public tonight at the Palace of Congresses with a grand concert. The two Albanian artists will perform music from all the corners of the globe. The renowned Albanian soprano Inva Mula is a special guest to this year’s concert as well as other international artists. The famous opera singer Inva Mula, which under the violin of Olen Cesar will perform some of the most popular arias. On the stage of the Congress Palace, the genius of the violin and the "International Clandestine Orchestra" will bring tunes from different continents, traditional ones or composed with their inspiration. Certainly not missing Albanian tunes. Concert tickets available at the Palace of Congress.